Savvy donors and foundations are using Guidestar to learn about your organization. And savvy nonprofits are using Guidestar to tell their organization's story. So, what does your Guidestar profile say about you? FIRST THINGS FIRST. WHAT IS GUIDESTAR? If you're not familiar with Guidestar, it's an online database with public information about every single IRS-registered nonprofit in the United States. That's more than 1.8 million organizations. It's free to use Guidestar. Everyone can use it view information and learn more about specific nonprofits. And any nonprofit can claim and update its profile for free. In fact, Guidestar promotes transparency and encourages nonprofits to share information about their organization. It's important to note that Guidestar is not a ranking site. They don't evaluate nonprofits or tell you which one is "best." Instead, Guidestar provides information so users can learn more about individual nonprofits and make informed decisions. grants management partners (like Blackbaud). And, of course, donors, foundations, nonprofit staff and volunteers are using Guidestar to learn more about specific organizations - including yours. HOW DO PEOPLE USE GUIDESTAR? You can verify an organization's tax-exempt status. About 70% of the organizations on Guidestar are 501(c)(3) public charities. Another 7% are 501(c)(3) private foundations. The rest are different types of 501(c)s. Social welfare groups, like the Sierra Club and ACLU, are 501(c)(4) organizations. Chambers of Commerce are 501(c)(6)s.
You can review a nonprofit's or foundation's tax returns (990s, 990-EZs and 990-PF). If your organization files a tax return, the IRS shares that with Guidestar. And, even if you don't file, the IRS Business Master File will share basic information, such as your nonprofit's name and address. Everyday donors can learn more about your organization, calculate your overhead percentage and, in some cases, give online, directly from your Guidestar profile. Foundations can research grant applicants, including who's on your board of directors and whether or not you follow best practices (such as having a conflict of interest statement, a whistleblower policy and a formal process to evaluate and compensate your executive director). Nonprofits can benchmark with peer organizations (for instance, to review executive compensation). Nonprofits can research foundations, their application guidelines, even their giving history. Guidestar lets you do all this - and so much more. 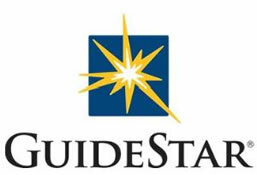 WHY SHOULD YOU CLAIM AND UPDATE YOUR GUIDESTAR PROFILE? The most obvious reason to claim and update your profile is to manage your organization's online identity. When you claim and update your profile, you're providing the most up-to-date information and telling a well-rounded story about your organization. You can also save time on your grant applications. Yep, that's right. More than 200 foundations already use an online grant management system that pulls information about your organization directly from Guidestar. Updating your profile can also increase your funding. Foundations and donors may use information from Guidestar when making their decision to support you. Donors can give directly to your organization via Guidestar when you give them permission to add a Donate button to your Guidestar report page. And, if you have an AmazonSmile account, Guidestar will share your information so those charity-minded shoppers can learn about you, too. You can get discounts (and even free stuff). Many Guidestar partners offer special programs and benefits to nonprofit members. Some offer additional or deeper discounts to nonprofits that have the Gold or Platinum seal of transparency. WHAT'S A GUIDESTAR SEAL OF TRANSPARENCY? Guidestar isn't a ranking site - they don't recommend charities or tell you who's "best." Instead, Guidestar promotes transparency and encourages nonprofits to self-report and share information about their organization. Bronze, Silver and Gold badges were introduced in 2013, and Platinum was introduced in 2016. Bronze shares your basic information, in Guidestar's words, "so you can be found." Silver shares your financial information, "so you can build trust"
Gold shares your goals and strategies, "so you can tell others about your work." Platinum shares your progress and results, "so you can show the difference you're making." DO YOU HAVE THE GUIDESTAR SEAL OF TRANSPARENCY? As of this writing, only 2,693 nonprofits have the Platinum seal of transparency. (Another 12,494 have Bronze, 16,142 have Silver and 9,918 have Gold.) That's not a lot, out of 1.8 million nonprofits. What about your organization? Do you have the Guidestar Seal of Transparency? Even if you do have the Guidestar Seal of Transparency, you'll want to check your profile. Once you've updated your profile and achieved at least the Bronze level, you can share your seal of transparency badge. Guidestar has released new designs for 2017. There's an image file that you can download from Guidestar. There's even a widget you can install on your website, which links directly to your Guidestar profile. But don't stop with Bronze or Silver. Go for the Gold, then strive for Platinum. The Platinum seal demonstrates that your organization is focused on measuring your progress and results. In that way, you can use your Guidestar profile to tell your story. By sharing your results and showing your improvement year over year, you can demonstrate your impact. GuideStar's mission is "to revolutionize philanthropy by providing information that advances transparency, enables users to make better decisions, and encourages charitable giving." Having the Guidestar seal of transparency shines a brighter light on your operations and your organization. When you take the time to provide information, you're becoming more transparent in the information you share with donors, foundations and other funders. When you have a Guidestar seal of transparency - especially Platinum - you'll help donors be more confident in their decision to support your organization. Need help claiming or updating your Guidestar profile? Laura Rhodes can help.